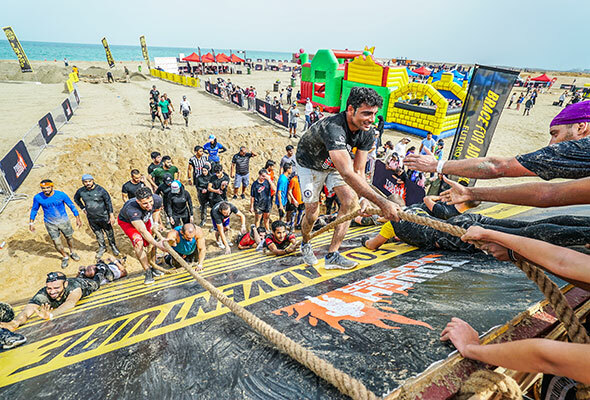 Tough Mudder, the world-renowned obstacle course challenge is making its way back to Dubai on Friday April 12 and it’s taking place at a new location – Dubai Sports City – for the very first time. The 5km obstacle course for adults will feature a mix of mud and water-based obstacles all designed to test ‘Mudders’ skills. Don’t be intimidated though, as the great thing about this particular Tough Mudder event is that you don’t have to worry if you’re not in the best shape to participate. The event next month is giving people of all fitness levels the opportunity to take part in the mud-filled madness with a range of team-based challenges, so you’ll have people to help you along the way. It’s untimed too, so you don’t have to worry about competing with others, just get out there and have some muddy fun, create some memories and enjoy your personal accomplishments. Take note: If you wish to participate in the Tough Mudder course, but are aged between 13 to 17, you must be accompanied by a participating adult aged 18+. And what about the kids, you may ask? 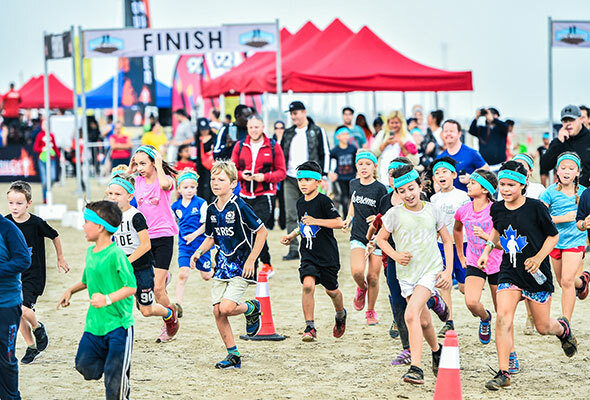 The event also has a 1.6km course called Mini Mudder for kids from the ages of five to 12. They need to be accompanied by an adult aged 18+ with a chaperone ticket. The start time can be chosen when you register online, so if you’re participating in the main 5km obstacle course make sure you give yourself enough time to cross the finish line (and catch your breath) before assisting the little ones. Look like a true mudder and head to Adventure HQ on March 27 between 4pm to 8pm to get kitted out for the muddy event. During the evening, there will also be exclusive prizes to be won, discounts you can take advantage of, and anyone making a purchase on the day can try out the climbing wall at Adventure Zone for free! The 5k Tough Mudder obstacle course will cost you Dhs350 but there are also early bird tickets available here so register now for a chance to save Dhs75. Tickets for 1.6km Mini Mudder will cost you Dhs150 and don’t forget to purchase your chaperone tickets too. Don’t forget to plan ahead and select your start time accordingly when purchasing your ticket.